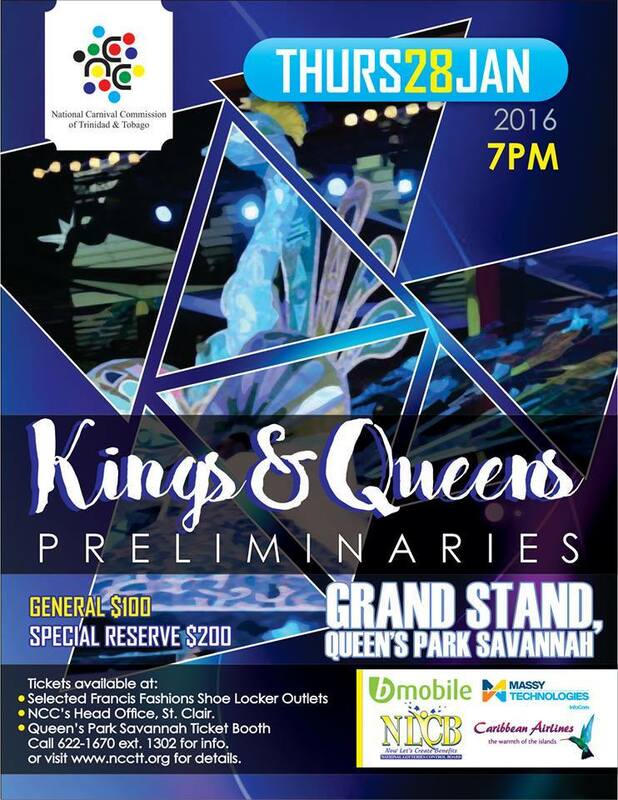 The preliminary round of the National Carnival Commission’s King and Queen competition takes place on Thursday January 28th at 7p.m. at the Queen’s Park Savannah. Click here for a list of contestants.